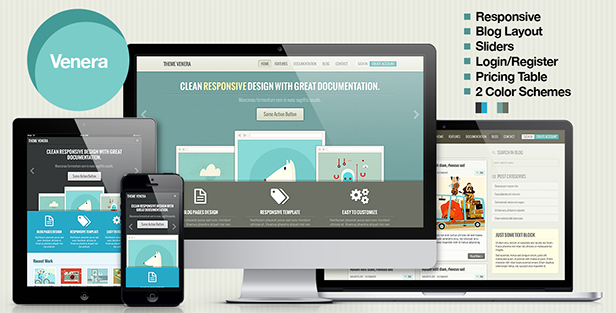 Venera is a responsive business and portfolio theme built using HTML5 and CSS3 . It has a clean design and a retro styled elements with calm and relaxing colors. It includes lots of useful elements like testimonials, navigation tabs, dropdown menus, browser showcase of your website, comments, blog markup, tags and many more. Item Reviewed: Venera Responsive Multipurpose Template 9 out of 10 based on 10 ratings. 9 user reviews.